If you already like what you're seeing, you don't need to wait - visit our website and contact us! 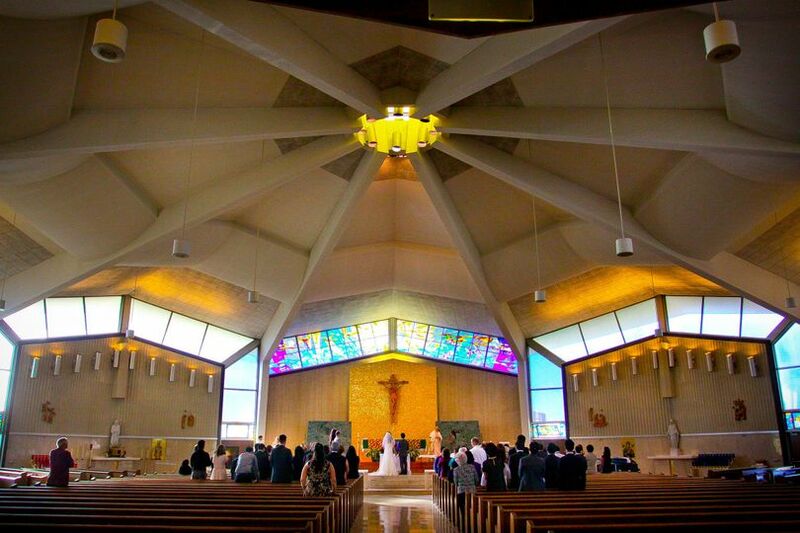 We are looking forward to speaking with you about your WEDDING! Not 100% certain? That's ok! We want you to be as excited to have us working for you as we are! Check out our website or our facebook page to see what we're all about and what we have been up to. 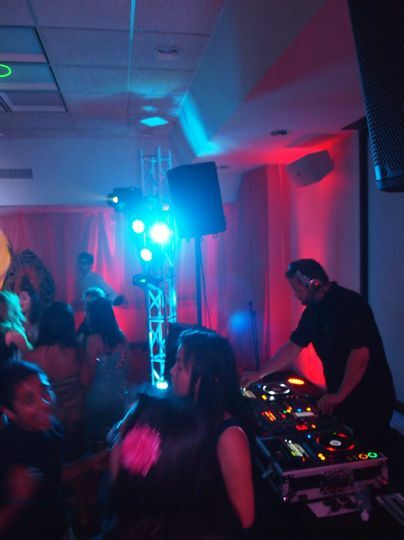 Ampersand Events was founded in 1998 on the love great music, awesome lighting, and creating outstanding events. 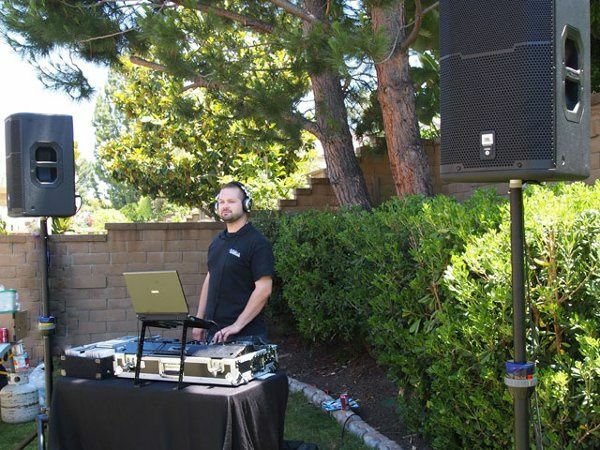 In our many years of providing excellent services, we've gained experience in every type of event from small backyard graduations, to "platinum" weddings - and we love them all. 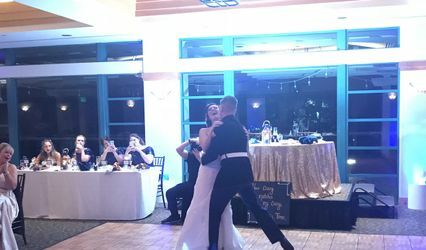 We specialize in Lighting & DJ services and our team: Ben, Jen, Eddie, Robert, and Maddie are at your service to make your wedding amazing and unforgettable. You won't regret taking a moment to find out what we can do for you! Ben and jen are the best! They know exactly what they are doing and it is one less thing you have to worry about when planning your wedding. Our day was perfect and they played a huge role in that. They are professional and help you with your ideas. They also have lighting options for your venue which add a beautiful touch. We highly recommend them! Ben & Jen are fabulous!! They were eager to work with us, and help in all that we needed early on in the wedding planning. 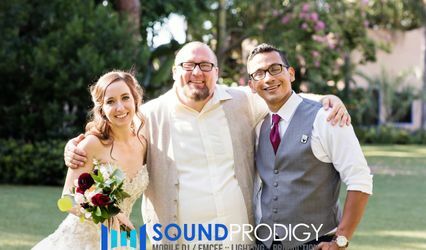 We met with them in the comfort of their home, and got to see their amazing DJ equipment and examples of the monogram lighting they were able to get made for us to be projected onto the dance floor. It turned out gorgeous! Their online system for requesting songs for specific dances, etc. was great and easy to use. They made sure they got a feel for the genres of music we wanted played. 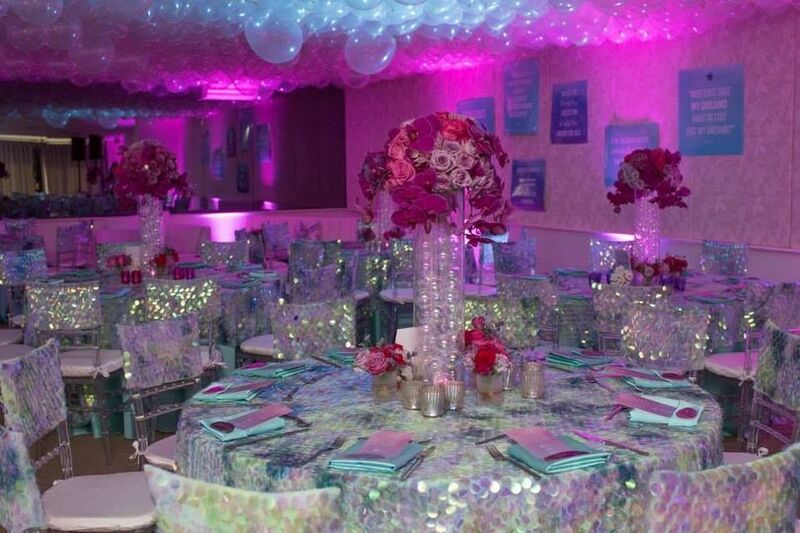 They were thorough and contacted our venue to make sure they were prepared for all necessary for the big day! We had our wedding this past weekend, and it was great! 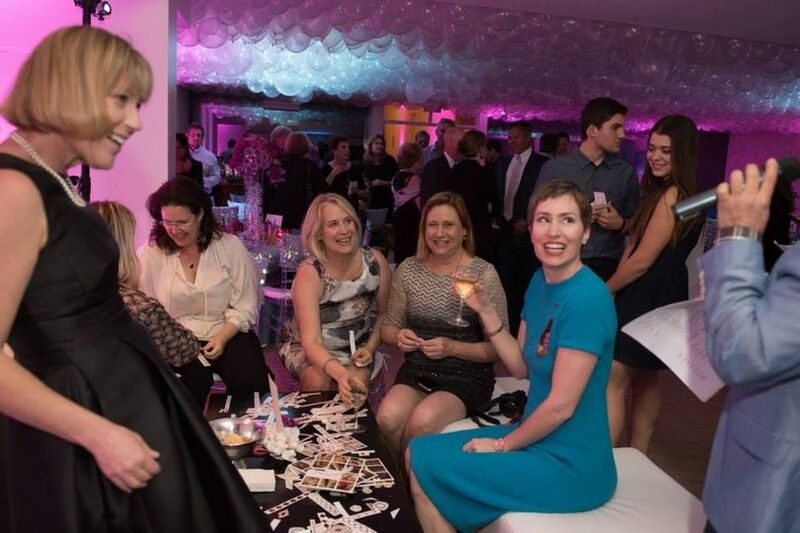 So many of our guests complimented the music and DJ, everyone was out on the dance floor until the latest possible minute! Ben & Jen were great at keeping us on track, making sure we had enough time for each part of the wedding night, and made sure to make all announcements etc. 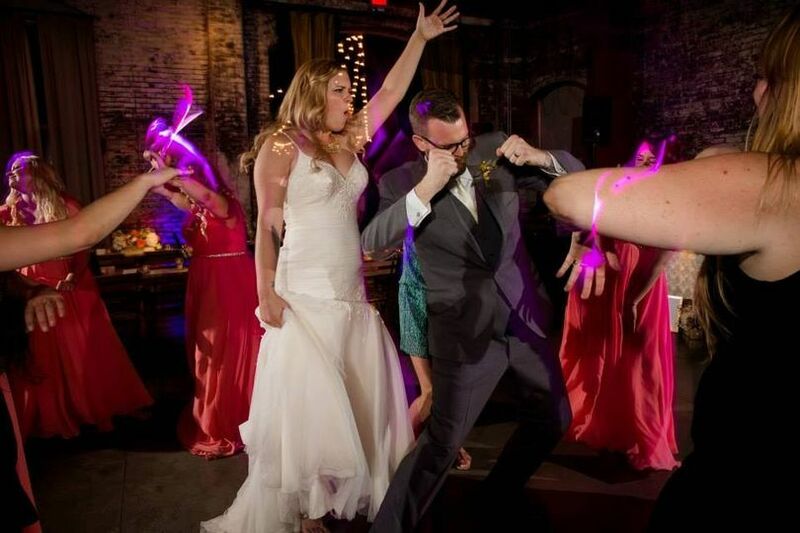 The wedding night was a blast, and we couldn't have done it without them! Jeremy and myself are SO happy we chose Ampersand Events to DJ for our big day!! We'll definitely be recommending them to friends & family! 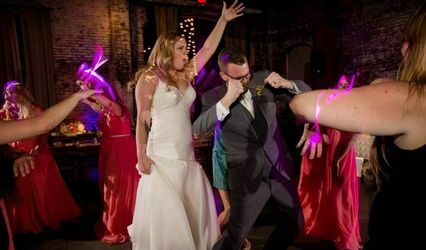 We loved having Ben & Jen DJ our wedding. 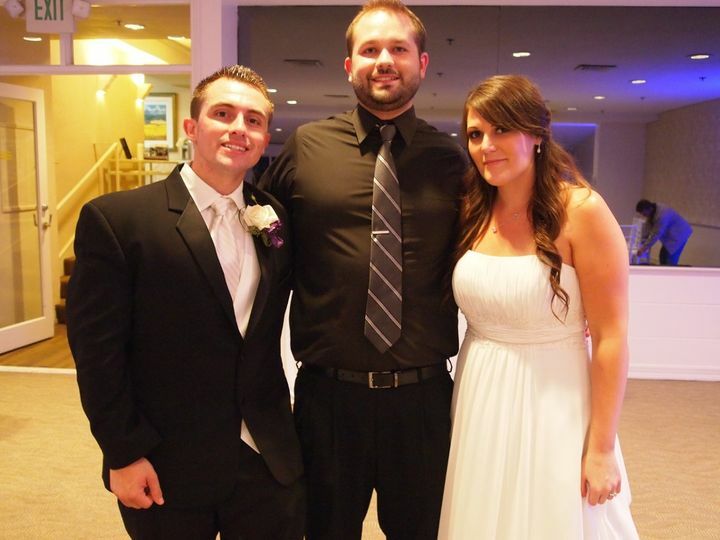 They did a great job handling our ceremony (correct music, nice flow, amplified well) and were very professional. 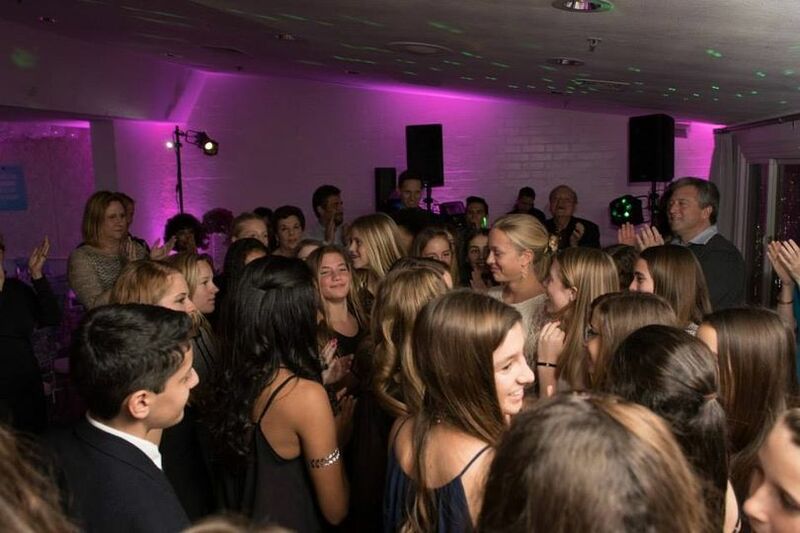 Our dance floor was hopping all night! Ben was great at keeping an upbeat tempo & worked requested music in well. The lighting they provided was also STUNNING (we had up lighting and a gorgeous ceiling light that brought beautiful dimension to our venue). I couldn't imagine our night with anyone else. I would highly recommend them to anyone! "I'm on a tight budget" Discount - Only 1 Deal Offered! Every once in a while, we offer a crazy discount. 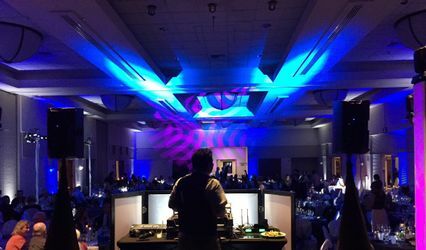 This is one of them: We will take 50% off your DJ services (excludes lighting) if you provide ALL of the music for your event from start to finish. WHOA, WHAT!? 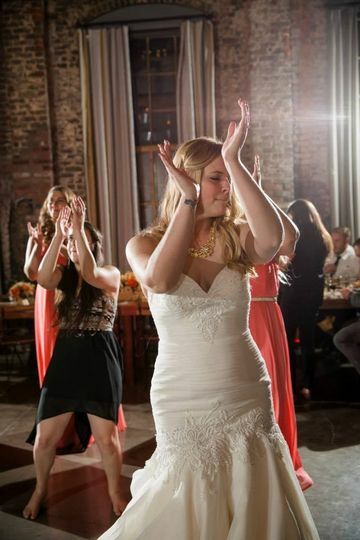 You'll need to provide all the ceremony, cocktail, introduction, dinner, dancing, and post-event music. You give us enough DRM-free, 320kbps, MP3 files on a USB drive; and in return, you get %50 off our DJ services. Only applies to new bookings on currently available dates. You've served the country, let us serve you a 10% discount on all our services. Please present your military ID to redeem 10% off entire booking. A 10% discount offered to educators and educational institutions. You must provide proof of affiliation with an educational institution to redeem this coupon.